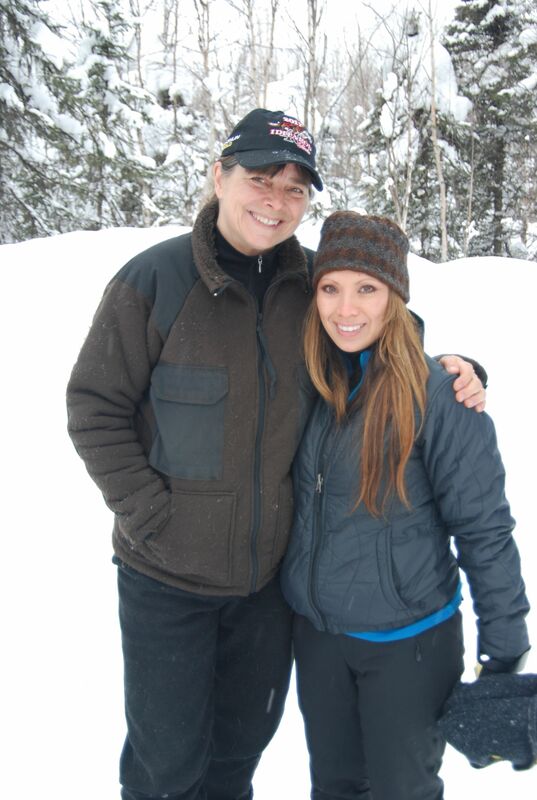 Visiting Jan in Willow, Alaska to help her prep for the start of Iditarod 2012. The original version of this article was posted here on March 3, 2012.
already giddy with excitement to see Jan, but we knew we had to get at least some rest before our early start in the morning. By 2:45, we had rented our car, checked into our hotel, unpacked and conked out. Our power-nap bliss only lasted until 4:30. At 5:30, we met our (new) friends (other friends of Jan who flew up to support her) in the lobby and started our caravan to Willow. Fortunately Sandy was driving because it took everything I had just to keep my eyes open. Thank goodness for the stunning scenery. Even in the limited light before daybreak, nearly-bare and spindly trees, jagged mountains, and broad plains made for sugary, snow-covered eye candy. After a long day of hard work, we’re all still smiles. What dog kennel snow looks like AFTER hours and hours of poop shoveling. 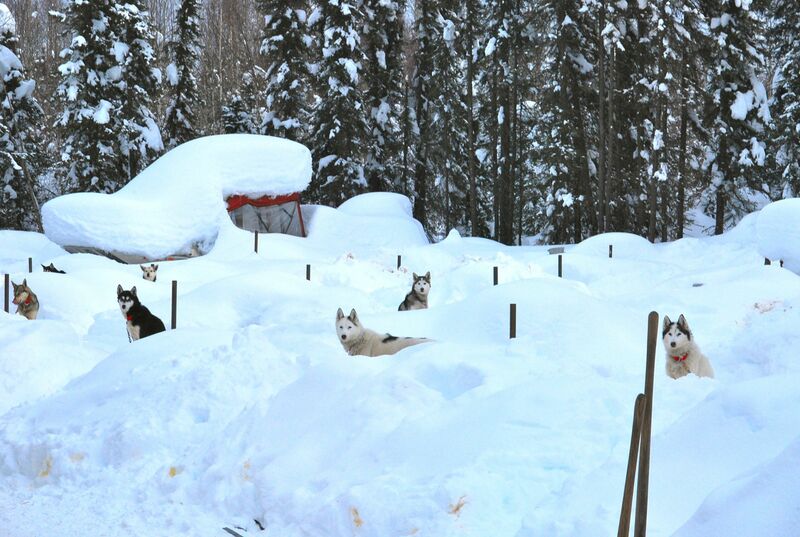 Time to dig out the backyard doghouses, too. 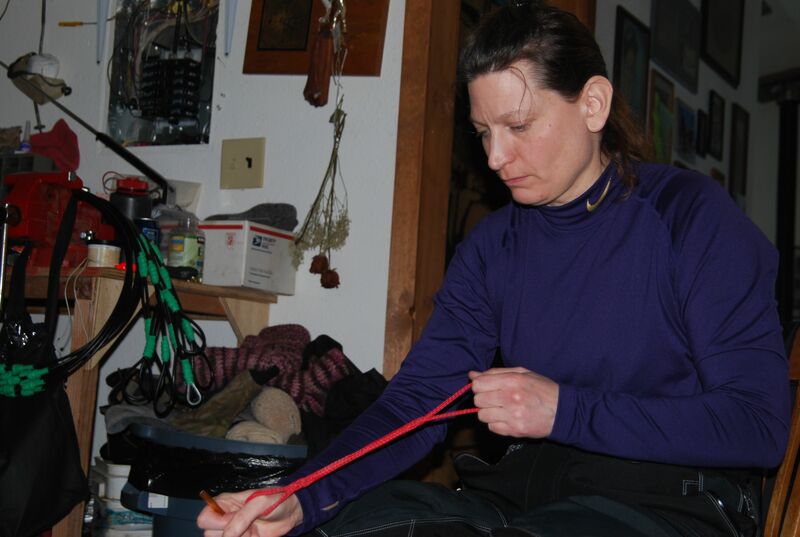 Laura weaves the dogs’ nylon neck lines. 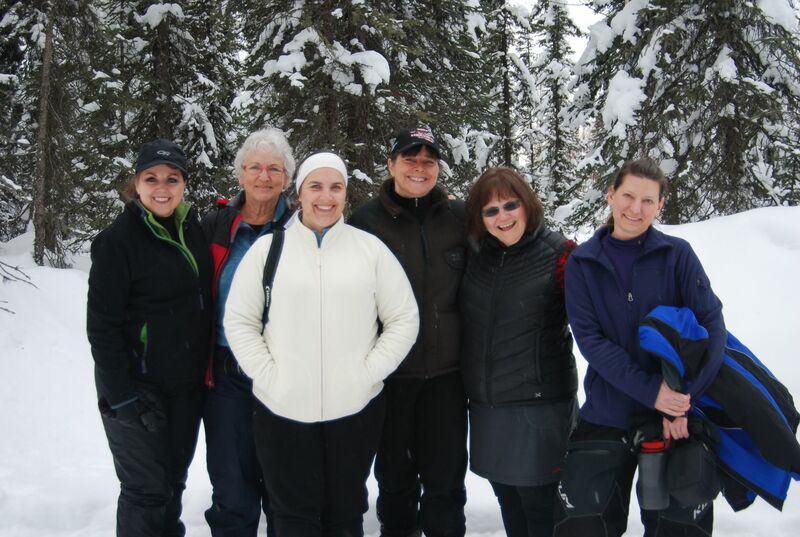 All of us kept remarking that we were just so thankful to be a part of Jan’s preparations for Iditarod, but we also admitted that the physical toil was a challenge. Even now as I type, my entire left arm feels like someone used it as a punching bag. 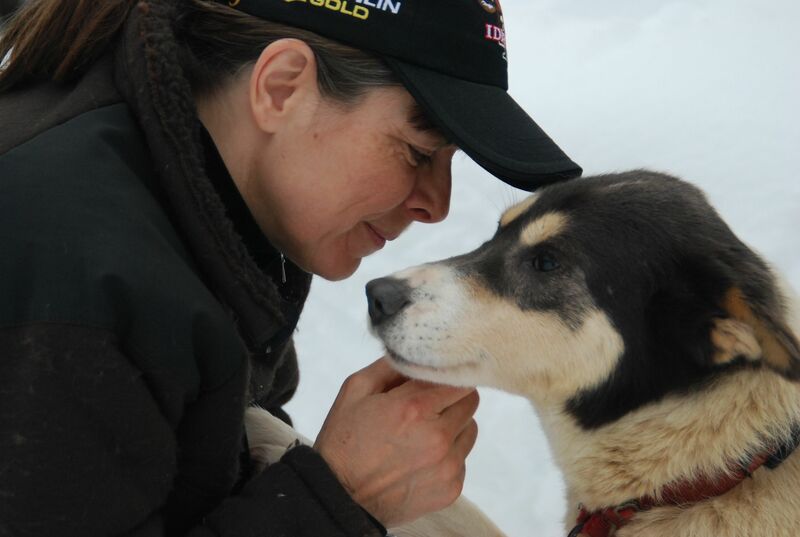 Then I think of how much Jan has done over the last year – physically, mentally, emotionally and spiritually – to get herself and her dogs ready for this incredible adventure, and I am completely humbled. David Thoreau once said, “Go confidently in the direction of your dreams. Live the life you have imagined.” Of all the people in my life who truly embody this quote, I have never been as moved by someone as I am by Jan. And to briefly orbit her Iditarod world as she propels herself closer to achieving her dream has been, to say the very least, amazing and inspiring. Jan displays messages of support from her friends at Europe Through the Back Door. 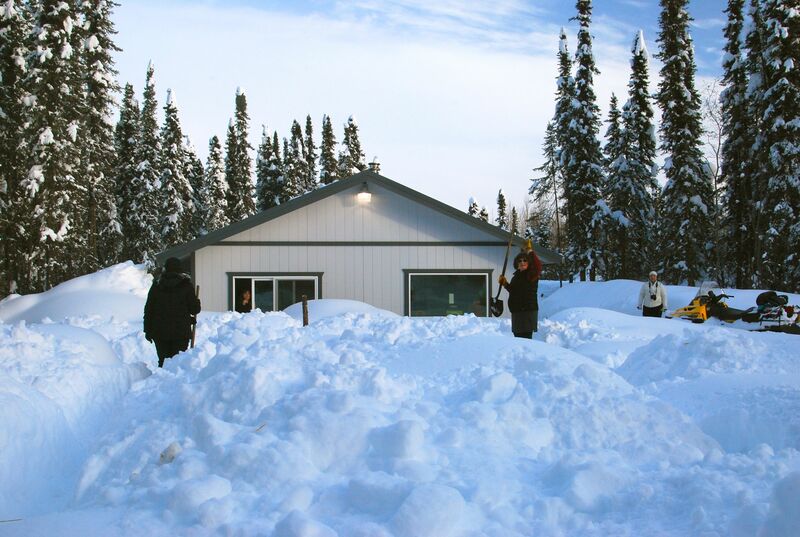 Around 4:30 p.m., we left Jan and Bob so they could finish up their other tasks and get mentally focused for the next day’s events. As we made our way back to Anchorage, I couldn’t help but reflect on what lies ahead for Jan on this journey of a thousand miles. This will arguably be the toughest thing that she has ever done in her life. Part of me worries. But now only a very small part. I’m so glad I got to see Jan in her element. This is what she has trained for. She can do this. I know she can do this. This is her dream, and she is making it come true. 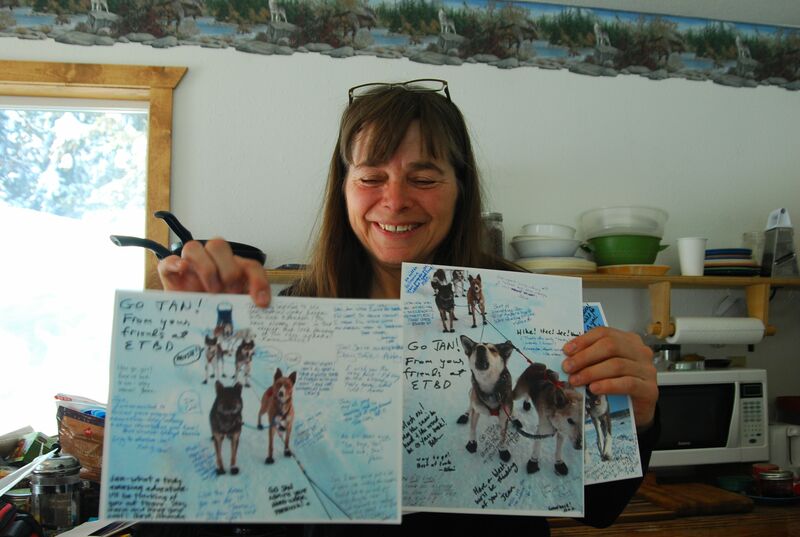 Follow Jan’s progress for the 2013 race on the Iditarod website, Jan‘s website, and on Rick’s Facebook page.